It rained as if the heavens opened and poured buckets of water down to earth, it felt that the deluge would not stop. It was October one year ago, and my friend’s son’s wedding was set for the next day. The tent was to be set up that day of the rain. The ground was soaked, the grass slippery and everyone was walking around with worried faces. The rain stopped during the night, while the tent had been loaded onto the truck since the day before. On the day of the wedding I arrived with my disassembled cake in the trunk of my car, finding a mass of people working on the tent, setting up tables while carpenters were placing a plywood floor down onto the wet grass. All happened at once it seemed. Scurrying, hammering, dishes clattering, men yelling orders to each other, flowers arriving, the groom still in jeans helping the carpenters placing the boards on the ground, a true madhouse of activities on a morning of a happy occasion. I found the table that was to hold my wedding cake. It was a little unstable, a little askew but covered with a floor length white table cloth. As I was looking around with a worried face, one of the workmen came over and set things straight…..literally! After bringing the cakes to the table, setting them on top of each other and decorating it, while having the chatter and clatter around me……..I was not sure what this cake would look like at the end. However, relying on God’s gifts, my fingers worked and created this cake. Yesterday was a different day………..
October 23, 2010 was a beautiful day, one of the sunniest and breathtaking fall days of this year. There was not a cloud in the sky, the temperature was mild and warm, the trees were in its fall glory, a perfect day for my son’s best friend’s wedding day. The Inn at Brookeville had everything prepared for this beautiful wedding reception. Decorating the wedding cakes takes a few moments of concentrating on the design that I create in my mind days, sometimes weeks in advance. I had found out what the table centerpieces would be as well as the theme of the wedding. All the brides and grooms have to give me free reign as to what the cake will be at the end. I do not have any mother of the bride interfere with my designs…….after all my cake is a wedding gift to the young couple……….. The flavors of the cakes have been different each time. Most of them have been four tiered cakes. Sometimes each layer of the cake is different; chocolate cake with mocha filling, vanilla cake with vanilla-rum filling, walnut cake with chocolate filling, a vanilla cake with vanilla cream topped with a layer of homemade jam of various flavors. Jams like apricot, peach, plum raspberry, nectarine, orange and fig. All these jams I make during the summer months in preparation for my baking. Poppy seed cakes I fill with whipped cream, red velvet cake is filled with a butter cream and there are more cakes and combination of fillings and jams……..it all depends on where my imagination takes me. The most important part of my cakes is the flavor of the filling, because a most creatively decorated cake has no value if the cake itself is a disappointment to ones taste buds. Yesterday’s cake was a vanilla cake, with each layer having been brushed with sweetened brandy. The filling was a layer of orange flavored butter cream overlaid with a peach and white plum jam. Every bite delivered a moist, fruity flavor with over tones of sweet unsalted butter. It melted into a glorious sensation of happiness ……….! I love the simplicity and beauty of these cakes. You are really an incredible baker, my dear. I wish I could do wedding cakes so well. 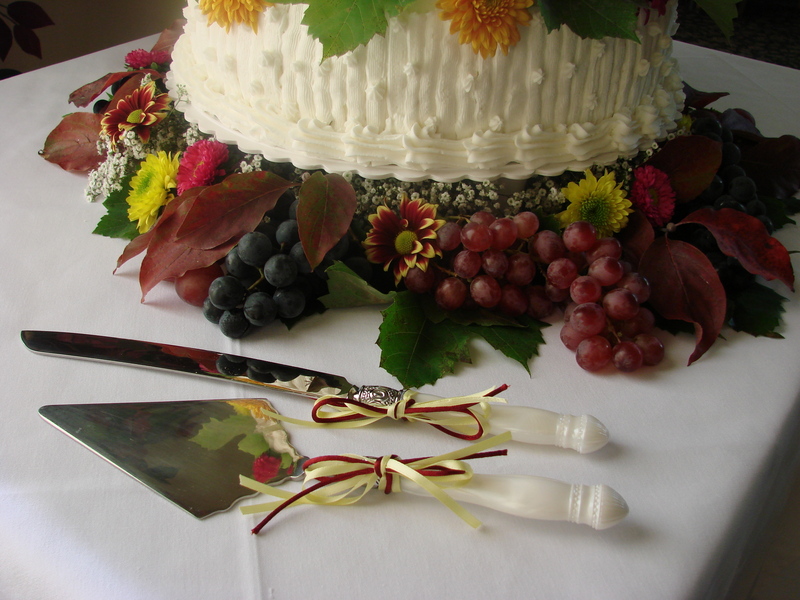 And knowing you, they tase even better than they look, which is a rarity in wedding cakes. Hi Rick……what a nice comment from you. I am touched by your words and compliment! 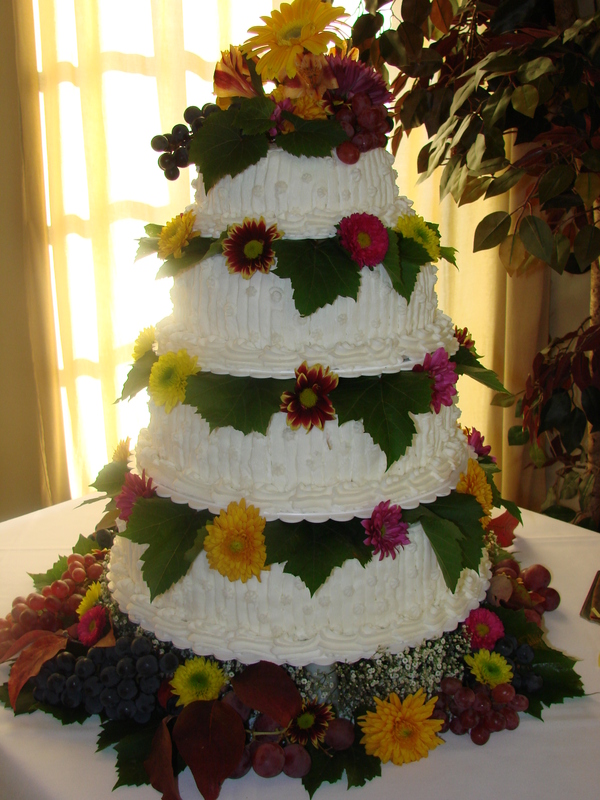 Yes……….I agree that the American Wedding Cakes are without flavor…….at least most of them. Toll – diese Farben, dieses Grün! Ich habe gerade erst entdeckt, dass du auch bloggst und ich bin sprachlos über deinen Werdegang. Was alles in ein Leben passt! Jutta……..Du bist aber lieb……so schoene Worte verdiene ich gar nicht. Ich backe fuer mein Leben gerne und habe mich schon immer mit Kunst verweilt……..so kommt mir die Torten Verziehrung leicht zur Hand….und macht mir viel Spass. Herzlichen Dank……..for Dein nettes Kommentar! Ich habe auch Deinen Blog besichtigt………und finde dass Du auch eine Kuenstlerin bist……..Deine Torten sind wunderschoen………und bestimmt sehr lecker. Europaeische Kuchen sind viel besser als die Amerkanischen….im Grossteil……….. These are very important times and you are brave to step in, but also quite talented! Maria, my mouth is watering. Poppy seed cakes filled with whipped cream — oh, my gosh. Sounds wonderful. Your wedding cakes are so beautiful. What a true wedding gift you give from your heart and your hands. Lucky couples who receive it. Maria, you are such a very talented lady. It is my pleasure to be your friend. The wedding cakes are beautiful! What a lovely post. I can’t truly say I am inspired to rush off and bake wedding cakes. But it certainly details your pleasure in creating them. 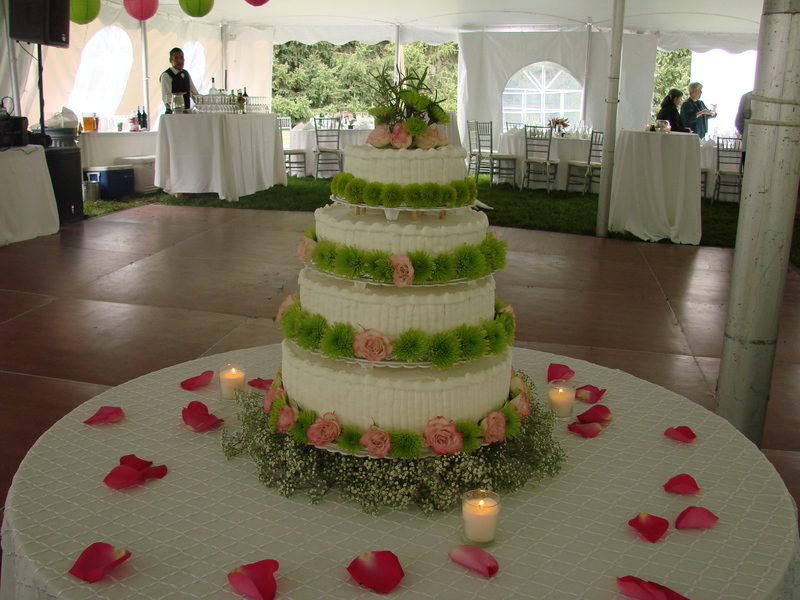 Nancy………thank you for your nice note………I understand that you are not inspired to make wedding cakes……that is why I am not inspired to make them a part of my business…….. I am asked often to make wedding cakes but, I have always declined………..
And you slept with sweet cake dreams…and they all lived happily ever after…….The Cinderella Cake by Maria.